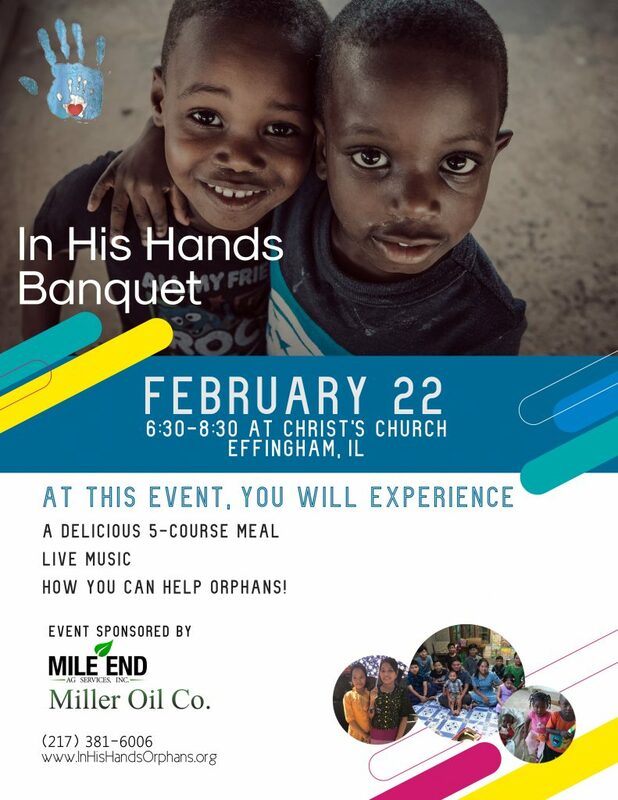 In His Hands Orphans Outreach is excited to announce our 5th annual In His Hands Banquet which will be held on Friday, February 22, 2019 at Christ’s Church. We have an enjoyable evening planned with dinner, entertainment, and testimonies, and are excited to share the evening with you! 60 volunteers finished remodeling a house in Springfield, Illinois that was scheduled for demolition, helping to improve the community. The historical house was restored to its original splendor and the $25,000 net profit will be used to help orphans! Center Pointe Church in Vandalia, Illinois donated a bus that is on its way to In His Hands Haiti! This will make it possible for all of our children to be taken somewhere at once, and will also transport our mission teams. In His Hands banquets were held that created awareness of the plight of orphans while also raising money to fund programs. Relatives of a few of the children at In His Hands Haiti were located, making it possible for these children to go home to them. While our number of orphans at In His Hands Haiti has fluctuated this year, you are currently helping to care for 41 children there! Land was broken at the beginning of this month for the infirmary at In His Hands Haiti. An IHH mission trip spent two weeks at an orphanage in a communist country in Asia with 80 orphans and encouraged their caretakers. The children greatly look forward to these visits as there are never enough hands to hold them and give them special attention. Our mission team members were even able to share the Gospel with 25 nannies! The team was able to take a severely malnourished baby to the hospital, saving her life. Team leader Shannon has advocated for 7 years to get a girl who has Down syndrome adopted from this orphanage, and due to Shannon’s advocacy, Daisy was able to be adopted, just before aging out! The banquets are major fundraisers for In His Hands, and allow us to continue to serve parentless children here and abroad, who desperately need our help. We hope you will partner with our 501(c)(3) organization (EIN #01054706) in this endeavor. The attached sponsorship form describes several ways through which you can help ensure that this good work continues. We appreciate your thoughtful consideration. We hope you will join with us this year to change the lives of orphans. We desire to make more people aware of the plight of orphans worldwide, and continue our work as well. We have attached a sponsor form and appreciate your commitment to make a difference. Please do not hesitate to call In His Hands at (217)381-6006 or email us with questions you might have.